It’s not just the ERP software resellers who are expanding to offer multiple ERP solutions. So, too, are the publishers of 3rd party add-on solutions. A “household name” in the Sage 100 world, ScanForce has been providing barcode scanning and mobile warehouse & sales automation solutions for over 16 years. 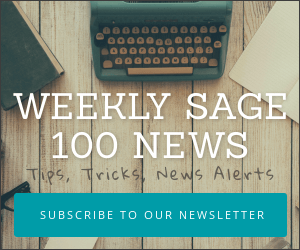 With hundreds of customers and a large, loyal partner channel, they’ve had great success with Sage 100 over the years. And now they’re expanding their market by releasing a version of their warehouse automation tool set that integrates with Sage Intacct. As you may know, Sage acquired cloud-based financial management software provider Intacct in 2017. At that time, several of ScanForce’s Sage 100 partners had already started supporting Intacct, and since then, many more have chosen to enter the Sage Intacct market. It was based on demand from these partners for a trusted warehouse management provider to help them get more Sage Intacct business that the decision to build the integration originated. ScanForce recently attending the Sage Intacct Business Building Conference in Dallas, TX, an invitation-only event for Sage Intacct partners, where their entry into the community was welcomed with much enthusiasm. They also said that the team at Sage Intacct has been incredibly supportive of their efforts, as they’re excited to add solutions that can help them expand their reach in their growing market segment of distribution companies.